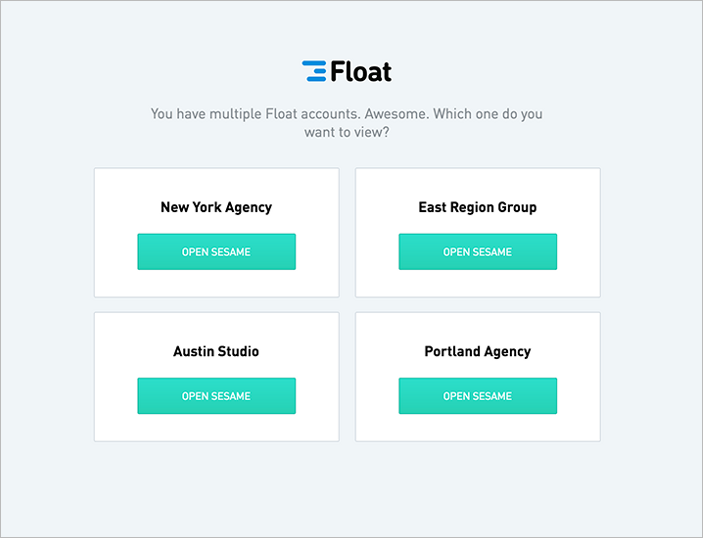 If you have a team in Austin, a team in Portland, a team in New York, and a team of freelancers located throughout the East Coast—switching back and forth between four accounts can be a major pain. Luckily, you can create and manage multiple accounts using a single username. After you're added to a second team, you'll see a new page when you log in that lets you choose which account to access. To add another team, simply sign up for a new account using the same login credentials or accept an invite to another team. You can toggle between teams from the global navigation in the top left corner. People, projects, account settings, and billing and invoicing details are unique to each account and cannot be combined or shared.